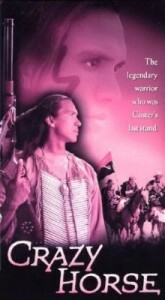 Gripping story of the great Indian war chief leading the Cheyenne and Sioux nations against Custer and the US army. A very satisfying film. Especially when Custer gets his. Listen to Johnny Cash’s wonderfully sarcastic song Custer. “Now I will tell you buster that I ain’t a fan of Custer”… etc. For more details, see tt0115969 on The Internet Movie Database.